The market for Fuzzy Logic Temperature Controller is growing with the expansion of this Industry Sector Worldwide. 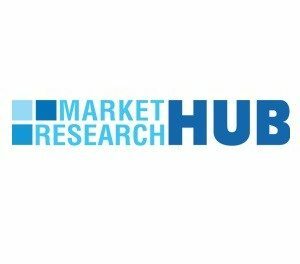 Market Research Hub (MRH) has added a new report titled “Global Fuzzy Logic Temperature Controller Market” Insights, Forecast to 2025 which offer details about the current trends and analysis, as well as scope for the near future. This research study also covers information about the production, consumption and market share based on different active regions. Furthermore, an anticipated growth at a double-digit CAGR for the Fuzzy Logic Temperature Controller sector is highlighted in the report which indicates a prosperous future. The Fuzzy Logic Temperature Controller market was valued at Million US$ in 2018 and is projected to reach Million US$ by 2025, at a CAGR of during the forecast period. In this study, 2018 has been considered as the base year and 2019 to 2025 as the forecast period to estimate the market size for Fuzzy Logic Temperature Controller. This report presents the worldwide Fuzzy Logic Temperature Controller market size (value, production and consumption), splits the breakdown (data status 2014-2019 and forecast to 2025), by manufacturers, region, type and application.